Back at times of the Roman Empire, people already used fasting to treat neurological diseases without knowing it. They thought that somebody with epileptic seizures were possessed by demons and they found if they take these people and shut them in a room without food, the demons would disappear. What happened was that through the fast, blood ketone body level went up and suppressed the seizures. Nowadays, fasting and the ketogenic diet is used to treat epilepsy. For most people fasting is not just a way of preventing neurodegenerative diseases like Alzheimer's but also to boost the brain and when it comes to boosting the brain, the most studied protein in this field is the Brain-derived neurotrophic factor. 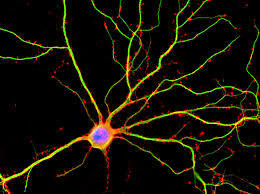 BDNF itself is important for learning, long-term memory, and plays a role in neurogenesis, which is the new formation of neurons. The explanation the research group provides is that the higher increase was seen when they took very specific parts of the brain regions. Parts were they thought neurogenesis is happening and therefore BDNF levels should be increased. Chronic inflammation is another risk factor for cognitive impairment and dementia. A molecule that is used to initiate inflammatory reactions in laboratory settings is lipopolysaccharide (LPS). It is a molecule found at the cell wall of bacteria and usually it should not be inside our blood stream. However, if you have a severe infection or a condition called leaky gut, bacteria rush into your blood and induce strong immune reactions. There are ways to protect your body from inflammation and besides keeping your microbiome healthy, intermittent fasting seems to be very powerful tool to reduce inflammation levels in the body. 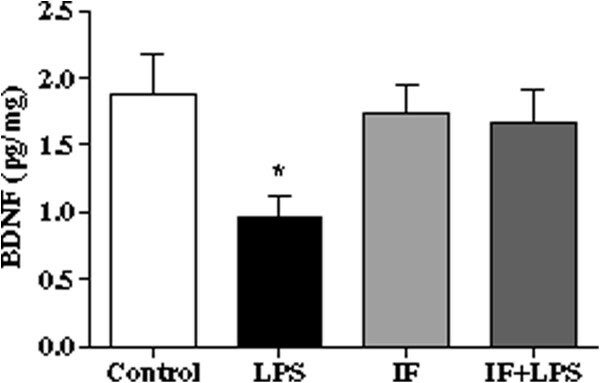 A research group from Sao Paulo found that that Intermittent fasting attenuates lipopolysaccharide-induced neuroinflammation and memory impairment . The scientist placed rats on an alternate day feeding schedule and injected them with LPS, which led to memory impairment in the control rat group on a normal feeding schedule but was prevented through IF. They found that IF actually reduced the levels of inflammatory proteins in the brain of the rats and that it prevents (LPS)-induced depletion of hippocampal brain-derived neurotrophic factor. It is like exercise for the brain. If you work out, it is also a stress for your muscles, which tells them to become stronger. One of the leading hypothesis in this field is that the ability to think more efficient and become more clear minded when not having food, gave the early human a survival benefit. In biology, everything is viewed in the context of evolution and becoming "smart" and focused in an environment where food is rare could mean to survive. Fasting can be beneficial to the brain and has the potential to prevent neurological diseases! Lennox WG, Lennox MA. Epilepsy and related disorders, vol. 2. Boston: Little, Brown; 1960.